Discover the power of arts-based learning. Our community thrives when we work together for good. Discover how your help furthers our cause and supports our educational programs. See what we do. Join our 40th year celebration! Click on the image to register for Spring Into The Arts 2019. It promises to be a very special evening of food fun, arts and entertainment! We are thrilled to announce the addition of six new artists to our roster! Faustin Adeniran, Susan Striker, Theresa Mackiewicz, Sharmont "Influence" Little, Moussa Bolokada Conde, Nicolas Carter, David Harrell, Lattawork, Jay Mankita, Oompapossum Puppets and Brad Zupp. Learn more about the unique programs they have to offer! For Educators - EARLYBIRD discount through May 1st! Calling all K-12 teachers and school administrators! We are holding our very first Cultivating Creativity Teacher Conference. Learn new techniques to integrate creativity into the classroom - in any subject. Guaranteed to be inspiring for all. Click here to see artist Tom Lee in action! Check out this amazing residency program with Tom Lee, Artist of the Year! Tom brings the poetic traditions of China's Tang dynasty to life. Students engage in close reading and thoughtful writing to create poems expressing their own observations of nature and their sense of connection with the natural world.  Arts for Learning Connecticut (AFLCT) is a statewide arts integration nonprofit impacting over 250,000 diverse individuals annually. With your help we can make a difference. Learn more and get involved.